Quinn Rollins: Play Like a Pirate: Yoda was Wrong. Even typing "Yoda was Wrong" as the title of a blog post feels wrong. I mean, he's the greatest teacher of all time, right? Well. In that faraway galaxy. And many of our childhoods. He's small and green, but wisdom flows through him like the Force itself. I agree with almost every grammatically awkward sentence he utters. 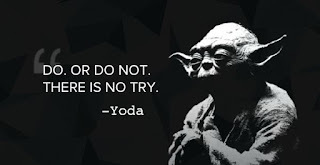 And yet, with this idea, perhaps the most-quoted Yodaquote ever, he gets it wrong. Disastrously wrong in the case of teaching Luke Skywalker, and perhaps more disastrously wrong in our classrooms. LUKE: Oh, no. We'll never get it out now. LUKE: (focusing, quietly) All right. I'll give it a try. Luke is frustrated. He's going into this challenge with doubts. He's levitated rocks, he's learned new strength and agility, he's learned more about the Force than he ever could have outside of that swampy classroom. 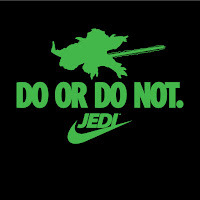 But Yoda's message, "there is no try," is one that proves fatal to Luke's attempt. Then, after Luke does try (because there is trying, and there is failing, and Luke does both), Yoda dismisses his attempt, and does it for Luke. Yoda doesn't scaffold Luke and his Force Skillz, having Luke move larger and larger objects until he can handle levitating something the size of an X-Wing (roughly the size of a school bus, I'd guess); he does it for Luke. The closing words of that scene are Yoda saying to Luke "That is why you fail." So not only does Luke only get one "try," but his failure is reinforced by the teacher doing it for Luke, and then rubbing it in. If he could have reached Luke's head, he would have given him a noogie. Obviously, as someone who loves Star Wars and specifically The Empire Strikes Back and specifically Yoda, I'm not saying he's a bad teacher. But think about all of the things Luke uses the Force for after this moment. We see him levitating R2-D2 at some point. We see him summoning his lightsaber to his hand. He may have used the Force to push himself into one of those waterslide tubes at the bottom of the shaft on Cloud City. He calls Leia with the Force at the end of The Empire Strikes Back. In Return of the Jedi, he does some mind tricks, he levitates C-3PO, he fights Darth Vader. We never see him physically do something as "big" as Yoda did for him on Dagobah. With Yoda's message "there is no try," and not allowing Luke to try again, was our young Jedi's path to learning closed for good? 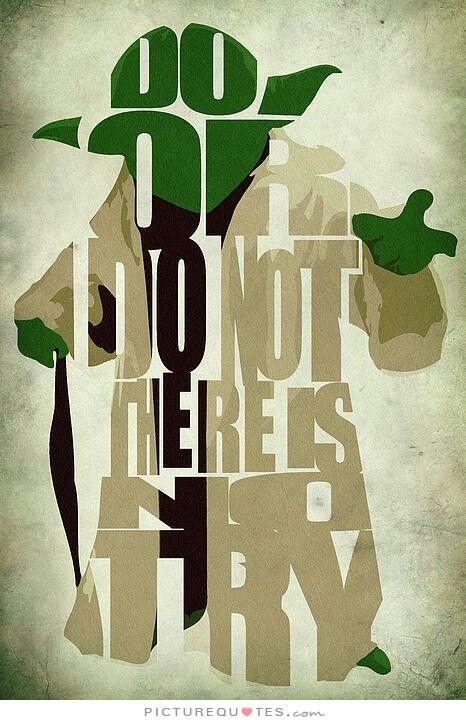 Yoda's message is typically held up as one of perseverance. We can do hard things. Sometimes we ignore the barriers in our way and power through them. "Just Do It," right? But if in our classrooms we make the fear of failure bigger than it needs to be, we're doing our students a disservice. We need to help our students see the power of failure, and the greater strength in moving past it. I share my failure with students all the time. The things that I thought I couldn't do (knew I couldn't do) and then recovered from and found pleasure in. And some that I never did really enjoy, but was able to do. 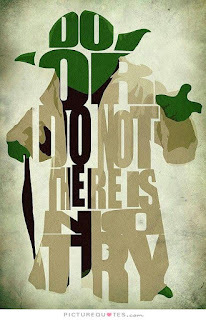 That's the more powerful message that Yoda could have shown Luke--that there is a try. There's a try, there's a fail, there's a try again. And eventually you can lift that X-Wing out of the swamp. Hopefully it doesn't take 900 years to get to that point. But give students the help, the support, and the confidence they need to recover from that failure. Because they can. There is a try. Last, if you want to find more ways to use Star Wars in the Classroom, check out my friends at Star Wars in the Classroom. They've got more ideas than you can shake a severed limb at. Since, you know. Star Wars is into that. Some of Yoda's abilities with the Force are well known, like the fact he learned how to become one with the Force so he could become a Force ghost after passing away. 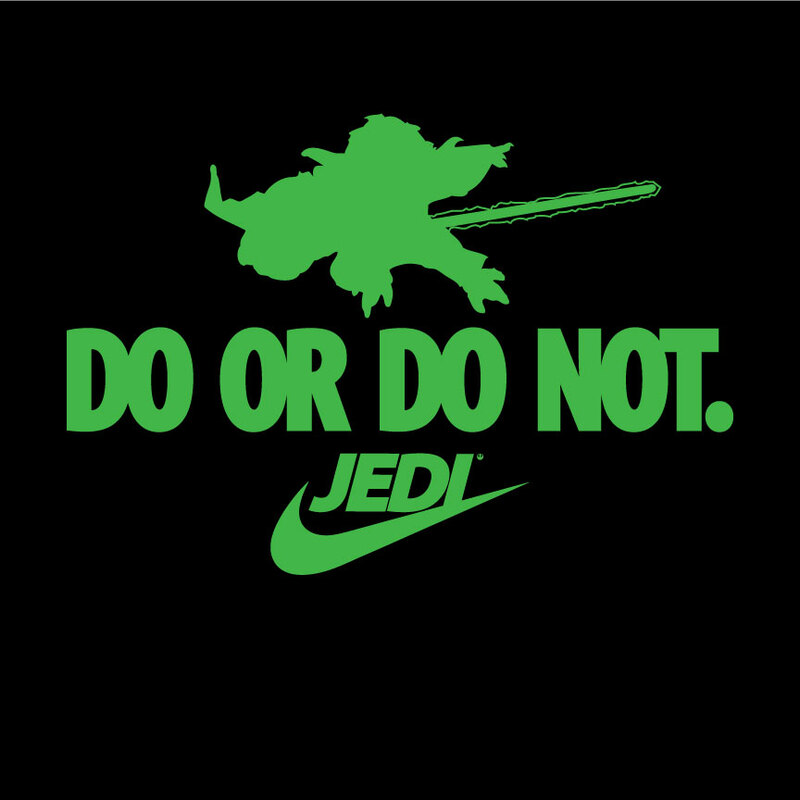 Want to know more, visit jedimasteryoda.com.